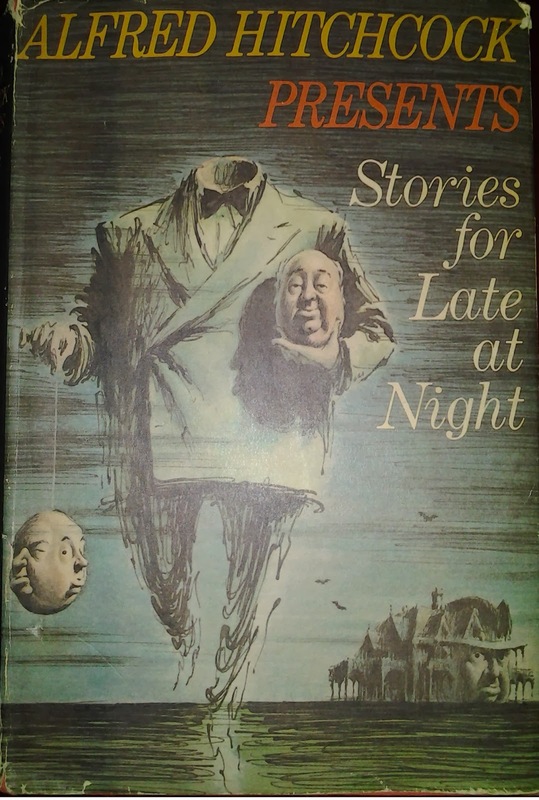 Source: Alfred Hitchcock Presents Stories for Late at Night edited by Alfred Hitchcock and Robert Arthur. You can also read it here on this website. The narrator, a traveling botanist, visits Graves, a cable (as in cables--not as in Comcast) station manager near a Polynesian village. Graves shows him a picture of his fiance who is coming out to marry him. The narrator inquires about the different types of grasses and fauna about and Graves notes that he has seen different kinds and knows that there is more further inland. However, he explains the locals have superstitions about the island and believe when humans visit the grasslands of the island, they will be killed. The narrator says that when he returns he will explore the lands, hopefully with the help of Graves. When he returns five weeks later, a week before Graves' marriage, he finds that the villagers have largely stopped interacting with Graves. He has become an outsider. Even the narrator's dog is on alert against Graves. Graves explains that he has traveled into the grasslands. There was lots of little movements in the grass and eventually, he captured one of the creatures that the villagers are afraid of. Graves brings the narrator back to his cabin to show him the creature. The creature is a miniature female about a foot high who speaks in some foreign tongue. He asks for advice from the narrator who tells him to return her to the woods but each time he does, she reappears at the cabin door sobbing. Over the course of the next few days they continue to speculate on what to do with her. Finally, Graves' fiance arrives and the narrator offers to take the creature off his hands for a brief period. The creature continues to cause mischief while in the narrator's care but he eventually pins her down and examines her mouth to find she has the fangs of a snake. At this point, he places her in a wooden box that he nails shut. Later on, he finds that she has escaped and he goes searching for her. He heads for Graves' cabin realizing that the creature went after him and finds the wife has been bitten. He provides some things to help the wife with the bite. While visiting, his dog is tied down outside because of how he reacts to Graves. When they begin searching, the narrator notices the dog is moving more slowly until the dog is unable to hunt. The narrator realizes the dog has been bitten and shoots it. He returns to Graves who ask what the two shots were for. The story leaves us hanging as to whether he found the creature again but it seems clear that he had to kill his dog. The death of the dog felt a bit disappointing. Not because I don't like dogs but the story didn't do enough to show the compassion between man and dog. Yes, the dog is affectionate but the man is not as attached. Therefore, the ending comes as a lukewarm event with the bigger mystery being whether the creature was also killed.